I’ve said before that I feel that the gift wrap is just as important as the gift. This weekend I had fun creating a unique gift presentation for a super special little guy. I’m not the biggest fan of primary colored, happy birthday wrapping paper so I decided to fall back on my favorite box from Target. Now, I just had fun stamping away. Create whatever pattern you want. You could have so much fun with this. 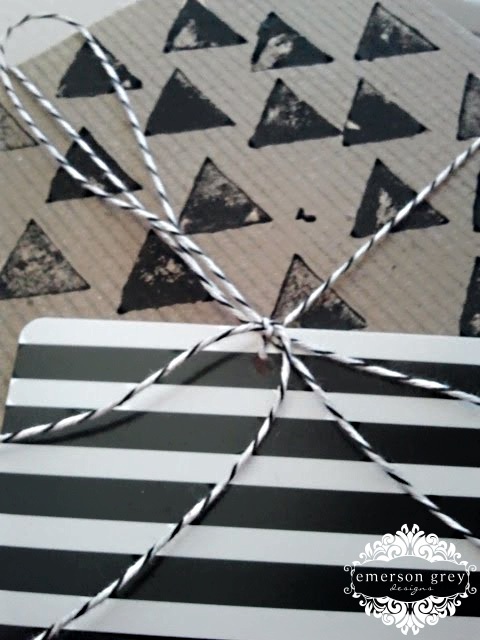 After it dried I added some bakers twine and the cute striped gift tag and my gift was wrapped! 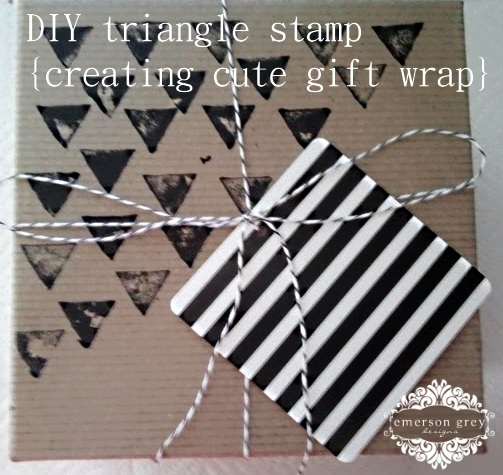 Do you put a lot of effort into your gift wrap? Or do I just like spending a ridiculous amount of time trying to make the outside of the gift look just as cute as the inside? It looks super cute! 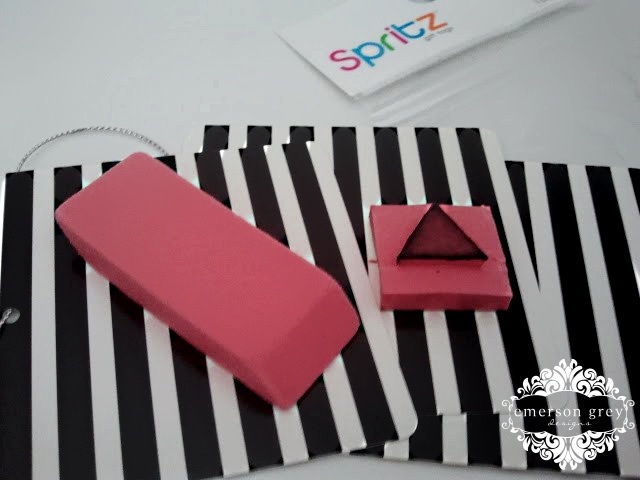 I love the stamp, such a great idea! So fun! I love that you "personalized" the packaging!